Food impact on the health of humans, and animals if well documented. We are told that low fat foods are good, and that processed foods should be avoided . . . . . that steamed fish is good, and fried fish is bad. But what about the health of good old mother earth, do you every stop to wonder that the big chunk of cod you are eating, although good for you might have an adverse effect on the ocean where it was plucked from? Choosing green food is not easy there are so many types of food, it comes from different countries, and is manufactured or processed in a mind boggling number of ways. b - Sourced from Brazil where rainforest has been cleared (75% due to cattle grazing) to provide grazing land, the animal has not enjoyed good welfare, and may have had antibiotics and or hormones to speed its growth. and the chips where did they come from? b - Potatoes grown in Israel where agricultural water use causes diplomatic tension between neighbouring countries, potatoes are transported via road haulage to eastern Europe for processing, before onward travel to the UK. Chips are stored in a freezer for around a month before distribution, they are stored again in a freezer at the retail outlet, cooking oil may have been sourced from any number of countries with associated haulage. Just because you are vegetarian doesn't mean that your diet doesn't have an impact on the environment being a vegan will mean that you food impact is almost certainly lower. 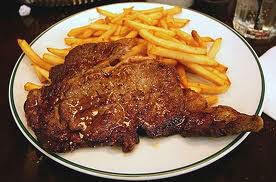 But vegetarians tend to substitute meat for dairy products and eggs. Soybean Production in Millions of tones per annum. So . 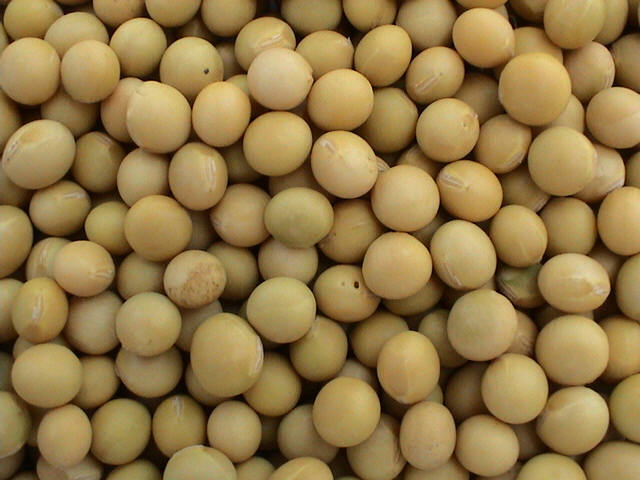 . . Brazil is the second largest soya bean producer in the world. . . but isn't that where the Amazon rainforest is? Soya Bean Growers in Brazil are contributing to the demise of the rainforest, they set up on land used for grazing, and so new grazing land is acquired my clearing rainforest. So being vegetarian or an omnivore is not the only consideration. So the aim of this site is to make people think what they can do to lower the impact of the food they eat, even if you change just one thing it will help out. Where can I buy green food? Whether you are a busy commuter, or have a heap of time on your hands there are choices to be made. There are green choices to be made everywhere. When you are grabbing a sandwich, maybe try and avoid tuna or salmon, go for eggs or cheese instead. This is not a vegetarianism issue, its a supply chain issue, when you have a cheese sandwich you can be fairly sure that no dolphins will have died making it, and that it will not further reduce tuna stocks in the oceans, there are some problems with the production of cheese, but if you weigh it up cheese is a better option. So green food may not be completely green just greener than an alternative! Why should I buy green food? When you buy a product that is damaging to the environment, somebody somewhere makes some money, and that person will say. Oh that good I'll keep selling this product because it is making me money. If you don't buy it they won't keep making it. Example: A lot of people like Mc V's digestive biscuits, now five years ago if you looked in the ingredients, you would have seen palm oil, but now you don't. Mc V must have decided that they would start to see sale drop off unless they took palm oil out of the biscuits. Is green food more expensive? On average yes, green food is quiet expensive. Organic or Sustainably sourced food generally costs more, but that is a reflection of the true cost of food. Maybe eat a bit less food, and save some money that way. Buying local food can be cheaper, you often pay for "under one roof" convenience at the super market, why not do a google search for "vege boxes" in you area and compare prices, you might be surprised. Green grocers are again worth a visit, but check to see if it is locally sourced. How can I find green food? There is no point buying green food if you waste it. Top 5 Reasons for wasting food.